There haven’t been many posts coming out of my blog, but that is all soon to change! The last month was crazy busy promoting the new book, teaching classes and writing/styling magazine features. I’ve set aside some time now to share some more recipes from Skinny Meals in heels. 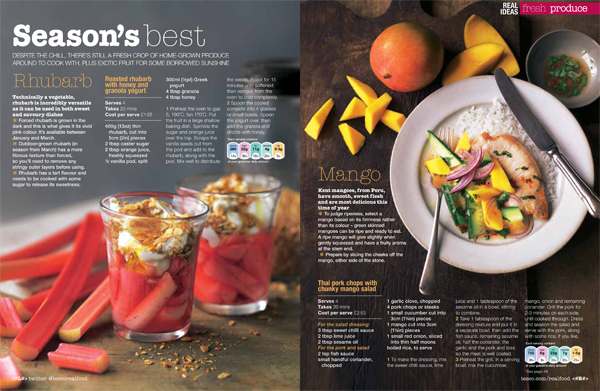 Rob Streeter, a London-based food photographer, has produced this fantastic video as well as the photograph. 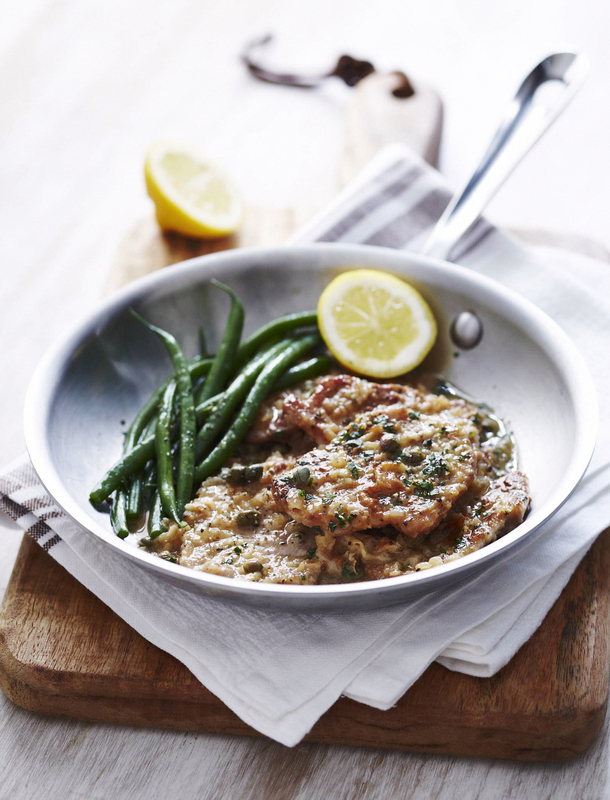 If I had to pick out a favorite dish in the book, this pork scallopine is it. The traditional Italian recipe uses veal and a butter lemon wine sauce. My new version has a healthier, economical twist with pork fillet and olive oil. Although pounding the meat looks like a hassle, the whole recipe can be done start to finish in 30 minutes. Not bad for a weekday meal! Slice the pork into half inch/2cm thick pieces and then gently pound them flat under parchment paper using a rolling pin or heavy tin until about 3mm thick. Season well and dust with flour. Heat a large non-stick frying pan over high heat until very hot. Heat 1 tsp of the oil and brown the pork about 1-2 minutes each side. You will need to brown them in batches adding a tiny bit of oil each time. Its important to keep the pan really hot or they will stick and need more oil. Remove from the pan and the remaining oil. Saute the shallot with some seasoning until soft. Add the lemon juice, stock and wine. Reduce until halved, about 5 minutes. Add the meat back in along with the capers. Cook for 5 minutes or until the pork is cooked through and hot. Sprinkle with chopped parsley. 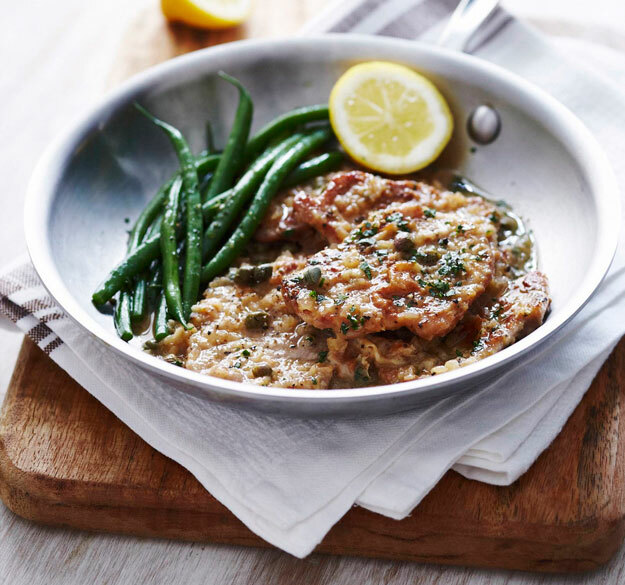 Serve with boiled puy lentils, crushed boiled new potatoes or blanched green beans. Jennifer, you are amazing! This pork dish looks yummmmmy! I’m gonna try it. The picture makes my mouth water. Miss laughing, cooking, and drinking wine with you! I’m so glad I’ve subscibed to your blog. This is absolute divine for a romantic dinner for two. Thank you so much,I’m looking bforward to more blog post….Hint, Hint. LOL. There is going to be A LOT this month. You will be sick of it! I miss drinking and eating with you too! Was just scanning the gallery on Tastespotting and had to stop at your photo. Can’t stop looking at it. 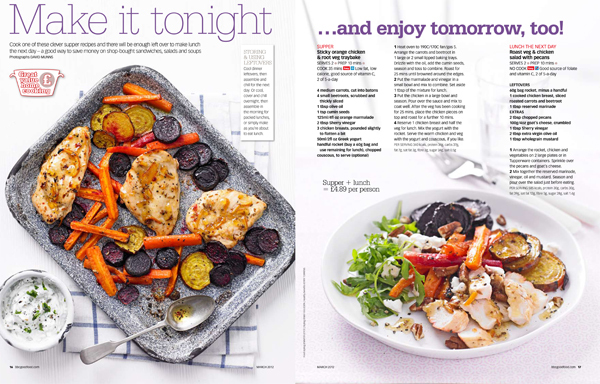 Very high probability that this will be dinner tonight–looks wonderful! Sounds delicious, believe we’ll have this tonight! Thanks.